We expect the farmland and box garden harvests this Spring. In the box gardens, soon to be planted, we will be growing eggplant and beans; local varieties of squash, okra, cucumber, tomatoes, and chilies; a variety of curry leaves; and cauliflower, carrots, onions, garlic, spinach, and tamarind. The box gardens are an effort to maximize our green space seeing as our campus land is limited, and we don’t want to take away play space from the children. We’ve already yielded a fruitful harvest from our ground level gardens, the newest crop being radishes. Radishes offer the children several nutritional benefits — they are high in vitamin C, phosphorus and zinc, and are known to soothe sore throats, prevent viral infections and aid in digestion. 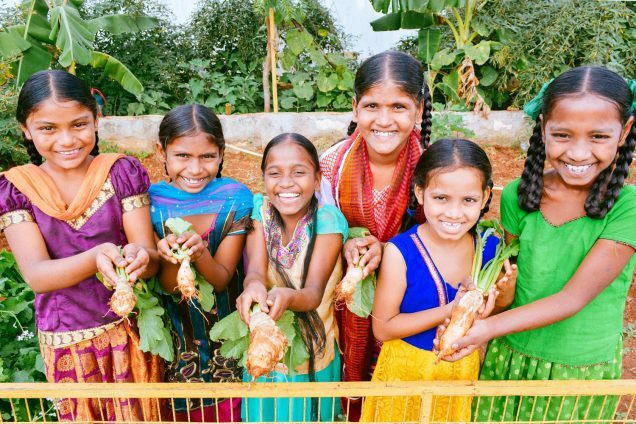 The children are enjoying fresh, nourishing vegetable curries with their meals, and they enjoy spending time in the beautiful gardens every evening — this time has become a special blessing to them. We also have a small banana grove which yields an annual harvest of almost 1,000 bananas. Bananas are especially good for the children as they contain plentiful amounts of potassium, fiber, and vitamins C and B6. We are also happy to report that we ordered an high-capacity solar water heater which will arrive at the end of this month. Our children are very excited about the coming promise of being able to bathe with warm water on winter days. This is a great addition to our campus which has been solar powered since 2011. Previously our campus was constantly besieged with power outages sometimes lasting for days. It presented several challenges that we now no longer face, such as children taking lanterns to use the restroom, security concerns, and more. Even when the surrounding community is in the darkness of a power outage, our campus shines brightly with its solar lights — a symbol of the hope that lies within its walls. The system even powers perimeter security lights. 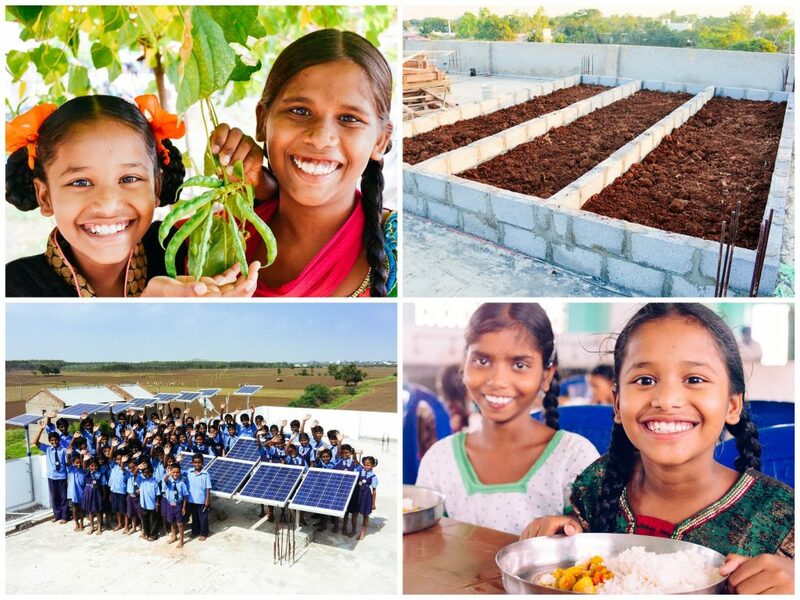 This solution is part of our solar initiative which has now been implemented at two of our projects — India and Uganda. We’re very happy with the way it fits our model of sustainability, while also reducing our impact on the environment. The children at our India homes are certainly happy with the results — a brighter, more secure and more productive life. We look forward to reporting back about our ground level garden harvest, and the installation of the solar water heater. Thanks for your support!